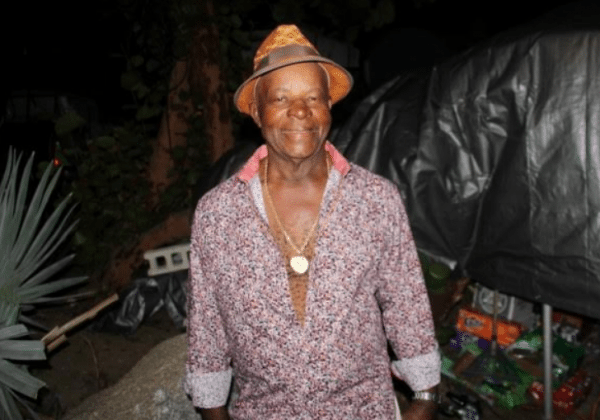 Founder of Virgin Gorda Transport, Edwin ‘Speedy’ George has died. The well-known businessman reportedly died on Wednesday (March 28) following a medical operation overseas. Speedy and his wife Nidia started their transport business in the early 1960’s with one taxi cab. They then started Virgin Gorda’s first driving school from their front yard, and by the late 1960’s, they imported three mini mokes for rental. Before long, Speedy started his first ferry service, which has blossomed into one of the territory’s top ferry companies. The company offers services domestically and internationally in the neighbouring United States Virgin Islands. Very sad to hear. Best ferry service in the BVI by far. Condolences to the entire family, be strong and continue his legacy. A legacy of genuine love and caring. Its not always about the money and he knew that!!! Usually you would end with at least condolences. Condolences to the family???? Heartfelt sympathy to the family, friends, and staff of Mr. George. BVI News where are your condolences. My sincerest sympathies to his family, always a pleasure meeting Mr George. The Lord needed not just a captain but a fine captain to sail his ship and Kiddo was just that captain. I happy and proud of him as youngster in the community and as a youngster within the business/boating world. It was people like Speedys who made it all easier for me. I’m happy he got to do what he set out to do, from having just one car on VG to rowing people to Trillis Bay from VG to building a strong business with amazing management and staff. He was one hard worker. Rest on captain Sail on captain. Thanks for the words of encouragement. Sympathy to his entire family. MY CONDOLENCES TO SPEEDY’S FAMILY, GOD BLESS YOU ALL. I have worked with “Speedy” and the Cruise ships for some 35 years. He always went the extra mile to assure all guests were happy and satisfied. He was also a great supporter of the Virgin Gorda Lions Movement. He will leave a void in the VG community and the BVI, that nobody can fill. RIP my dear friend. MY HEARTFELT CONDOLENCES TO THE ENTIRE FAMILY. SPEEDY AND NIDIA WERE OUR BEST FRIENDS. HE WAS A HARD WORKING INDIVIDUAL AND LOVED WHAT HE INVESTED IN. I wish to express my heartfelt sympathy to the George family on the passing of Speedy. It is also extremely sad and heart rending when the human element is taken out of a loss of this magnitude, and the passing of one of our local giants is merely a news article, as the publishers/management of this site have not seen it fit to express words of condolence. May the legacy left behind by the visionary pioneer, Edwin ‘Speedy’ George live on for generations to come. This is a great loss to the family and the country as a whole. my heartfelt goes to the family and loved ones.Speedy’s was a great ,charismatic and hardworking man. A good man. One of VG’s finest and an exemplary business leader. He started the ferry company so VG kids could go to school in Tortola and still be able to live with their families in VG. Never the one to be after a fast buck, always the one you would find wrenching on an engine, and always ready and willing to do the right thing. Sincere condolences to his family and to the people of VG. He will be missed by many. May his leadership continue to inspire. Capt. Edwin George (Speedy) has left a lasting legacy for locals and others to follow, the prominent entrepreneurship of a Virgin Islander, whom was always admired. A kind and loving man, he was never to big to speak to the common man. He gave a lot the Community. Condolences to his family and friends and the VG Community. May his soul rest in peace. Please accept our sincere condolences, he will be surely missed by the local community and his services to all. We always enjoyed seeing him and to witness how hard he worked on his business, I’m sure his legacy will continue with his children. Rest In Peace Speedy we shall miss seeing you for a hearty handshake and a smile on our visits to Virgin Gorda. Your Canadian friends wish you peace in heaven. Deepest of condolences to the entire family. So sail on up to heaven “Kiddo,” for that is where good people like you on earth go when God calls them home. Agnes, Blanche, Allan, and yes, Edwin. Anyone who knows those names can attest to that truth. Will miss your friendship as life goes on here. Didn’t know we will never get to chat again. Hope your spirit reads this last salute to you. Rest in Peace Speedy. For the 25 years that we have been on VG, we will miss your hugs, handshakes and back slaps. You always acted with integrity, honesty and ethics and were never afraid of hard work. We will all miss you. Your have made a true Legacy. What a sad day for everyone who loved Speedy…I first met him 38 years ago and he would just give me the keys to his safari bus and let me take my passengers from the Windjammer Cruise around the island (then, as far as we could get) What a wonderful man – so happy I got to give him one last hug when I was in VG after the hurricanes – God Speed, Speedy! for so many years. Condolences to the family and all of VG. He was an integral part of Virgin Gorda just as the grass and the trees. It was a pleasure to work with him for so man years. Condolences to the family and all of VG. He was such a man. Very kind and always working hard. A fantastic dancer – a true pleasure to dance with. God keep him in the palm of his hand. He will be sorely missed. SPEECHLESS MY CONDOLENCES TO THE GEORGE FAMILY. JUST SPEECHLESS WE’VE LOST A VG LEADER MY DEEPEST SYMPHATY TO THE FAMILY. Tears in my eyes. Last I saw this dear, wonderful friend he gave me a Speedy Hug, as usual. I remember in 1992 when we were fixing up our villa and I was returning from shopping in Tortola. I had met him, but this guy, I didn’t recognize, came up to ask if I needed help with my packages. I did. Then, with a smile on his face, he told me not to let just any stranger help me. Then I took a better look at him. It was Speedy himself! It’s just so sad to imagine him gone. We will all miss him so much. Sincerest condolences to Kiddo’s children Steve, Coralie, Corrine, Camile, also his siblings and other relatives. VG has lost its greatest son, may his soul rest in peace. It was very sad to hear of the death of my dear friend Kiddo. He was a friendly guy and every one on the island would miss him. He has left us when there are so much work to do. Rest I peace my brother until we meet again.